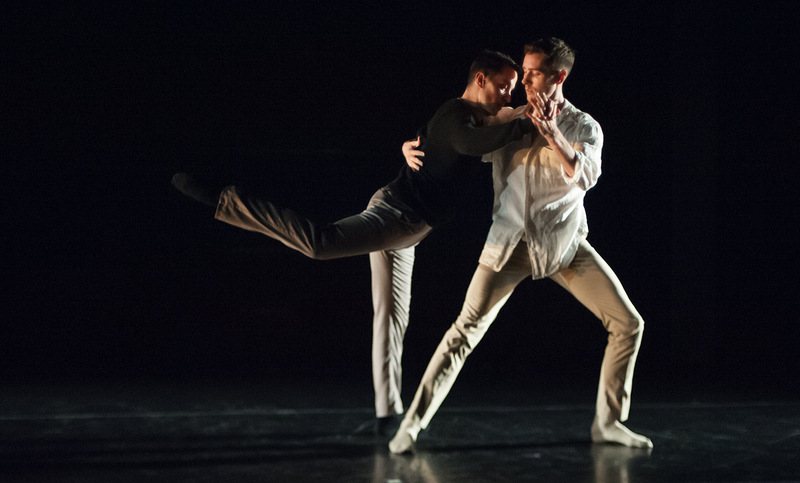 Volver is a tender duet created in 2015 for two men in contrast to Weare 2007 seminal work Drop Down (a ferocious riff on the traditional form of tango for a man and a woman.) Volver offers the early inklings of love - attraction, sensitivity, an urge to listen closely - channeled through the social dance form of tango. Set to the yearning and beautiful song, "Volver a los Diecisiete" by Violetta Parra, Volver allows us to see two men in a natural state of wonder, and dance itself as a palplable act of union. Volver premiered in Kate Weare Company's 10th Anniversary Season at BAM in 2015. A special thank you to Peter McNaughton for tango coaching.